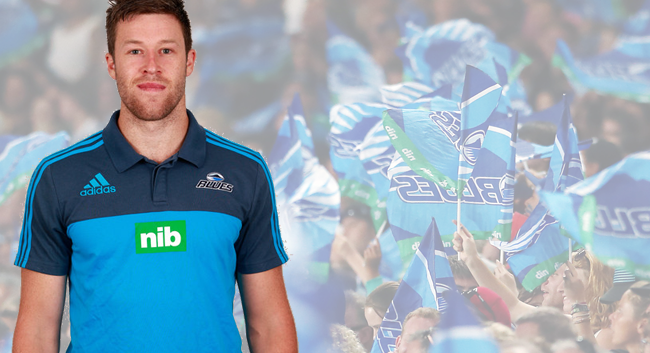 nib has teamed up with the Blues and we sat down with the Blues nutritionist Dave Shaw. Can you run us through what your role is and what you do with the Blues please. As the performance dietitian for the Blues, I work closely with the Strength and Conditioning team to help the players get the most out of their training - enhancing strength, power, endurance and body composition - and best prepare for games. If any player becomes ill or injured, I also work with the Doc to ensure they are nutritionally supported to fast track them back to full fitness. Additionally, one of the most important parts of my role is to ensure the safe and effective use of supplements by the players. Do you put together dietary plans for the Blues – what do they look like? Do you tailor different plans to different players? For most players, we discuss what their day should look like in terms of meals, snacks and fluids. For some players I provide a meal plan, whereas for others, it may be about setting goals. My meal plans can vary, with some providing specific meal options, whereas for others, I suggest quantities of different foods for each meal and snack and let the player's imagination create a meal or snack they prefer most. Can you give us a piece of nutritional advice that an average person might find strange or interesting? When it comes to nutrition, it's really important not to over-science it. Doing the basics consistently is how you get results as you don't have to be perfect to progress. How do the nutritional plans for the Blues differ to what you might recommend to a person who is not a professional athlete? The team eats very similar foods that most of us eat, however, they do eat a lot more. As nutrition is crucial for their recovery from trainings and games, we always ensure there is something the guys can eat - or drink - which contains a combination of protein and carbohydrate. During heavy training periods, like preseason, or after games, it’s often challenging getting the boys to eat enough, so I like to put on "soul food" - like burgers and pizza - to help add calories and protein to their diet. Tell us about the most interesting/funny/strange experience you’ve had working with the Blues. The best part about working at the Blues is the people. Everyone works hard and there's always a bit of banter, which makes each day interesting and enjoyable. I wish I could pinpoint one moment, but I wouldn't be doing the rest justice. Is there a particular player who just won’t eat his greens? Who is it? And have you come up with a solution to hide the healthy stuff? I think there are a few (haha), however, they often tell me about what veggies they included in their dinner the previous night - I know the truth though. What should people eat in the buildup to a big game? What should they avoid? It's important not to leave your fuelling to the day of the game and end up overeating. I recommend the players start increasing their carbohydrate about 24-36 hours before the game and maintain a hydrated state. This means that come pregame meal, they only have to eat for an energy 'top up', without feeling sluggish afterwards, like you do when you've had a little too much. It's important to keep to what you know works for big games. When players try eating something new or want to trial a new supplement, it can go pear-shaped on the field and take away from their performance. Experimenting with nutrition should be done at training, not just before kick-off. People talk a lot about ‘super foods’ - what do you think is the healthiest food and why? What is the worst thing a person could eat? I don't think there is a healthiest food as different foods are good for us in different ways. The most important thing is whether a player’s diet supports their training and performance goals, as as well as maintaining their health. To do this, they need a variety of healthy 'superfoods' every day. Can you give us a brief outline for a post-match dinner recipe? After the game, we often provide chicken drumsticks, pizza, sushi, chicken kebabs and sandwiches, as well as a protein drink - or flavoured milk - and sports drink. If the team is travelling, the post-match meal always contains a good source of protein and carbohydrate, like a big roast lamb and veggies or burgers and fries. Where do the players like to eat when they are looking for a guilty pleasure? Are there any places they like to eat which get your tick of approval? The team often go everywhere. Many of them are more educated on Auckland cafe culture than myself. Is it ok to pig out on junk food from time to time? It's about being flexible. Indulgence is nice when it comes to food, however it's about balancing it with your goals. For the players, the same rule applies, each player understands their goals (usually body composition), so they know not to 'pig out' at a time when it may compromise their training or performance. What is the biggest nutritional mistake that most people make? Many people try and find a new diet rather than improve the one they've got. If you're serious about improving your health or performance, the best approach is to make changes (small or large) to what you currently consume that will have a large effect over time.